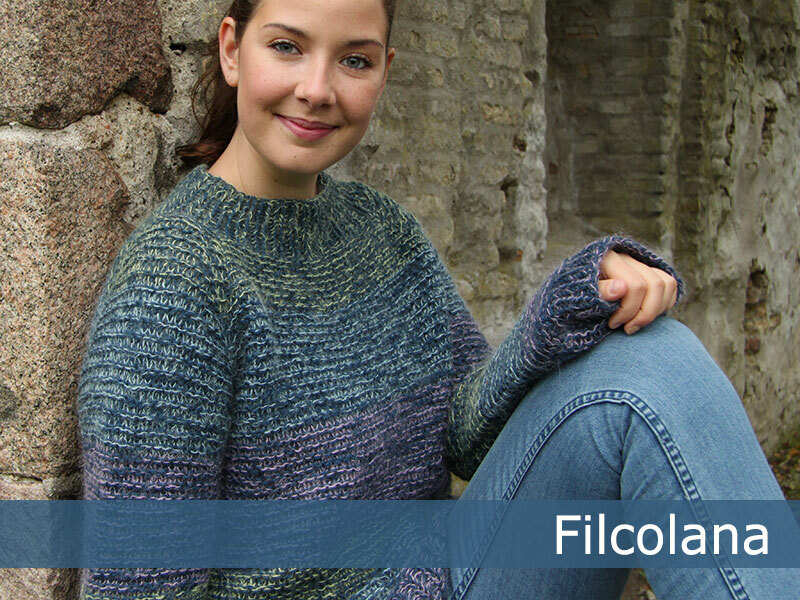 A simple raglan sweater worked from the top down - the combination of yarns and the garter ridges are what make this design special. 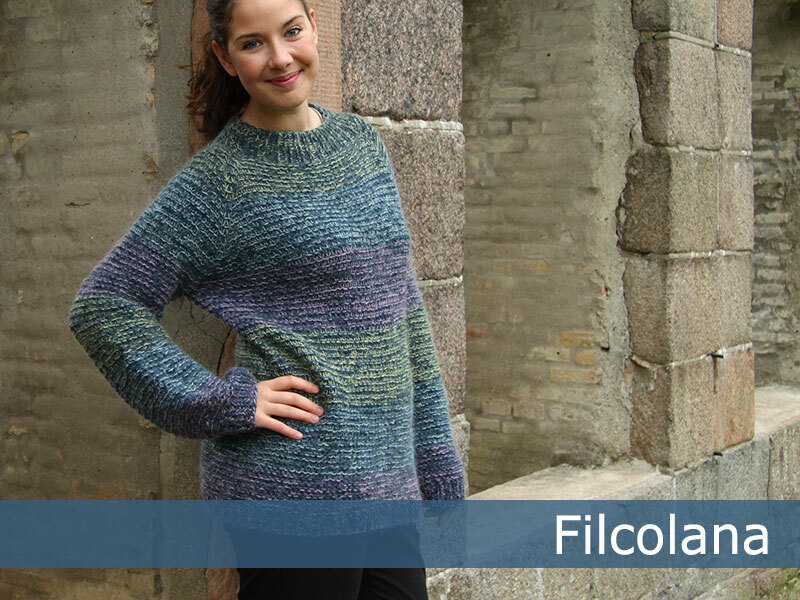 The soft Tilia combined with Peruvian Highland Wool, gives this sweater a lovely soft feel, which suits the oversize silhouette perfectly. 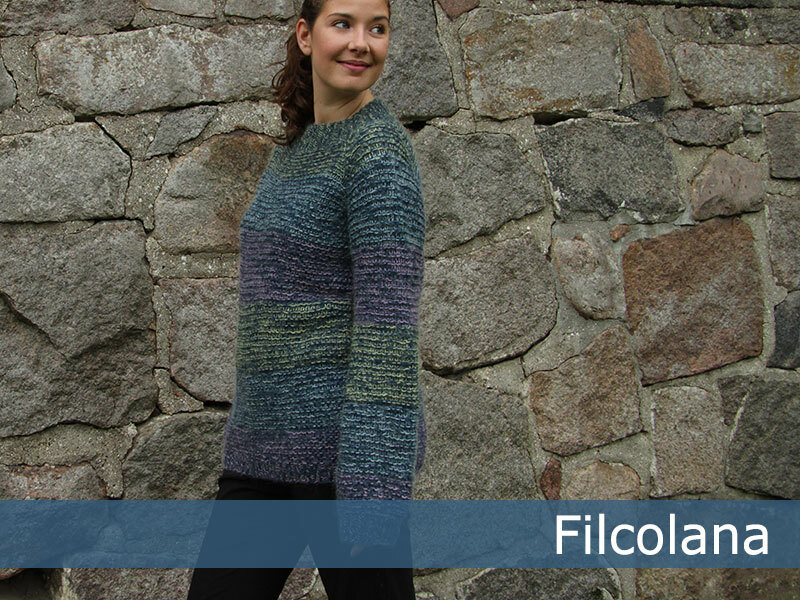 A quickly knit sweater with very little finishing.